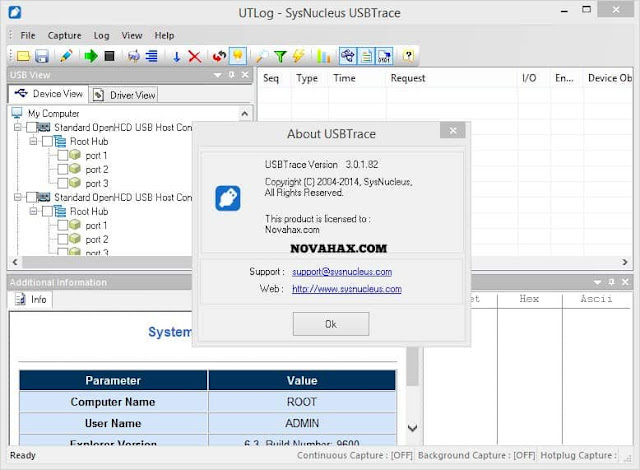 SysNucleus USBTrace is an easy to use and powerful USB analyzer (USB traffic sniffer) software. 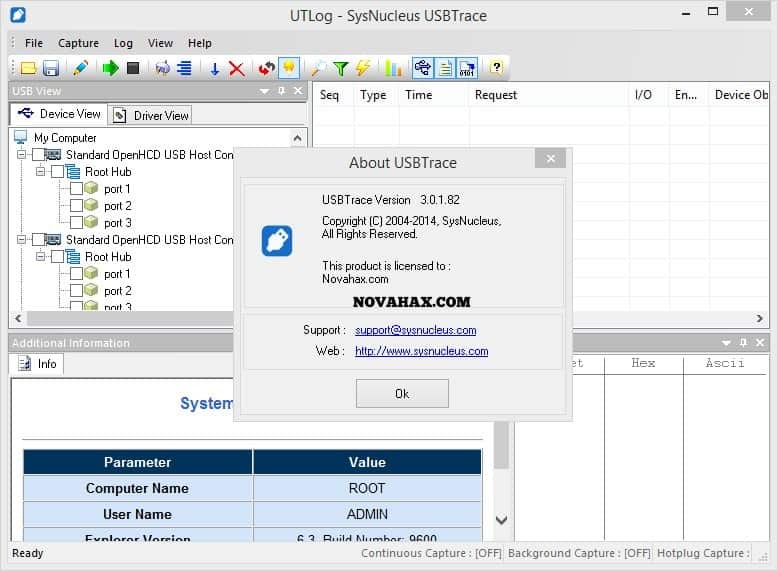 USBTrace can analyze USB protocol at host controllers, hubs and devices. This is a 100% software product. USBTrace supports Windows 2000, XP, 2003/2008 Server, Vista, Windows 7 and Windows 8/8.1 operating systems and works with USB 1.x, 2.0 and 3.0 (low, full, high & super speed) host controllers, hubs and devices.